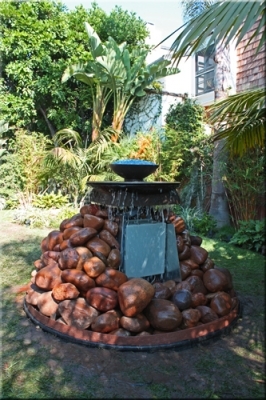 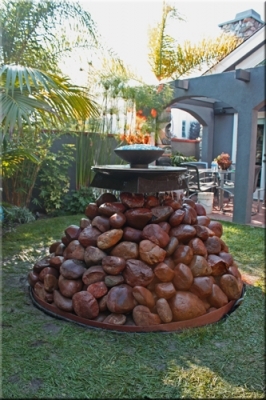 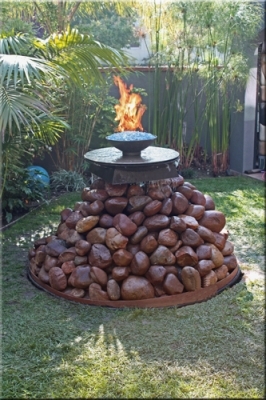 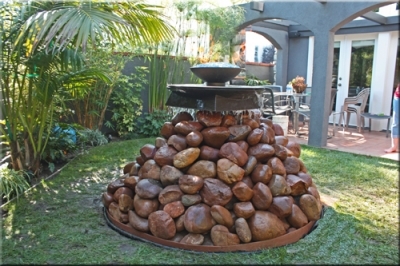 Custom outdoor rock fountain with fire and water feature. 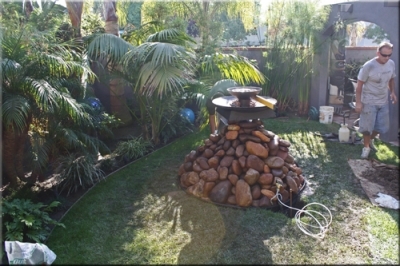 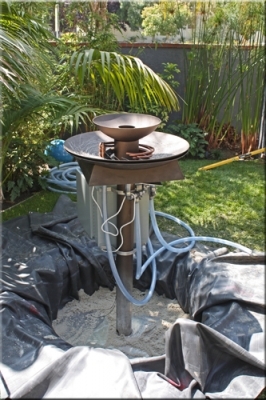 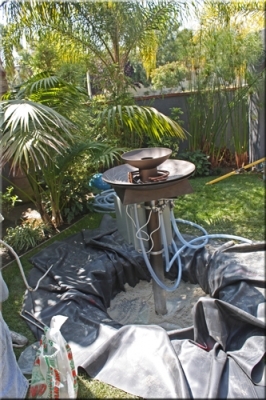 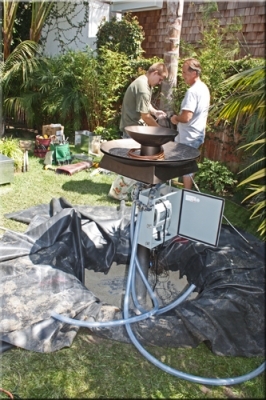 Custom backyard garden fountains. 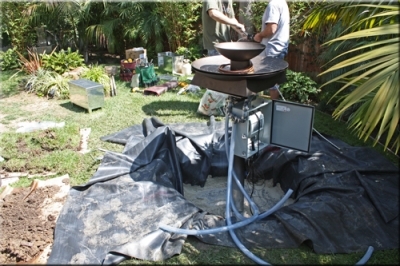 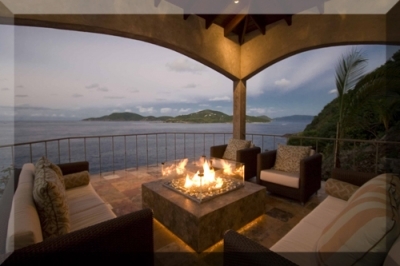 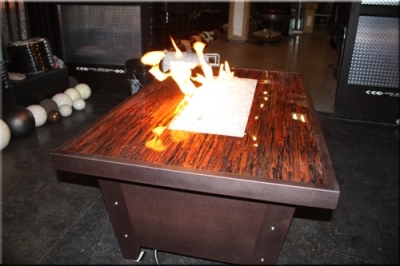 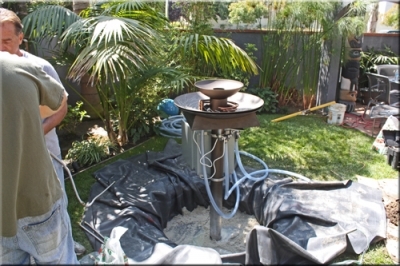 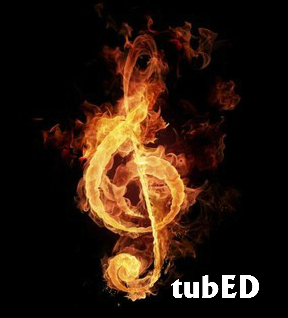 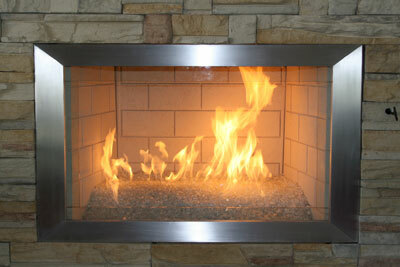 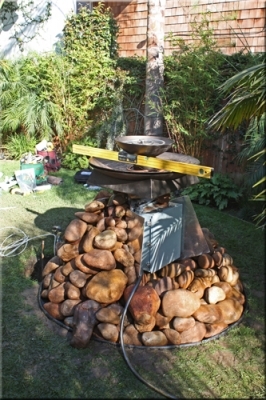 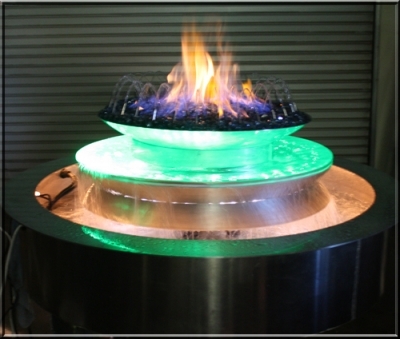 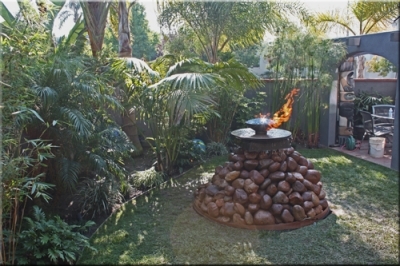 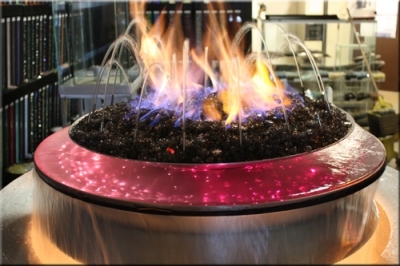 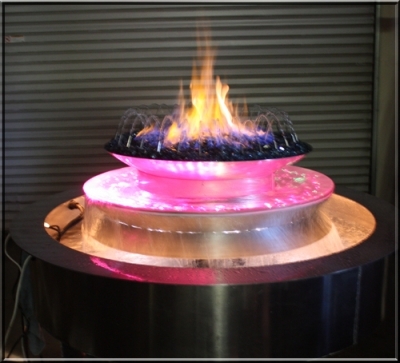 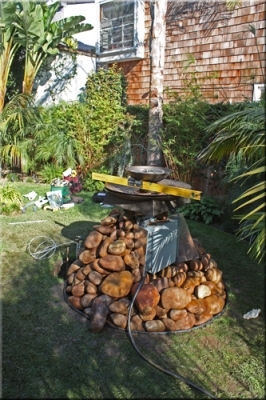 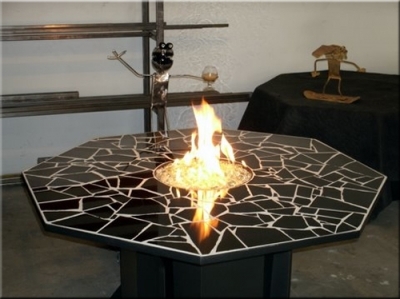 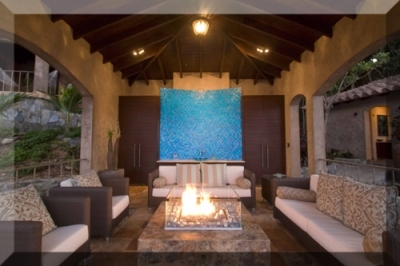 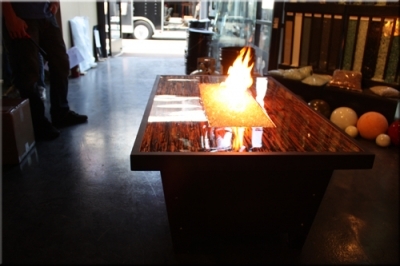 The fire feature was commissioned by Mark and Jair in Long Beach California. 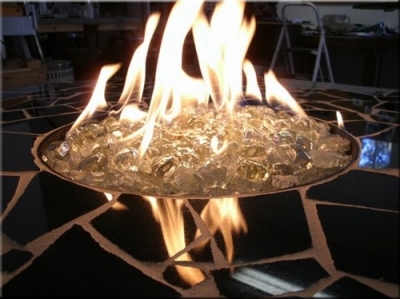 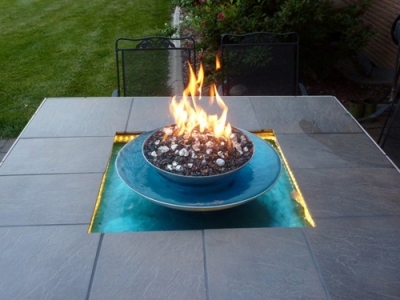 The very top bowl was filled with Ford Blue Base Glass Fire Glass and the bowl below has 300 fibers installed. 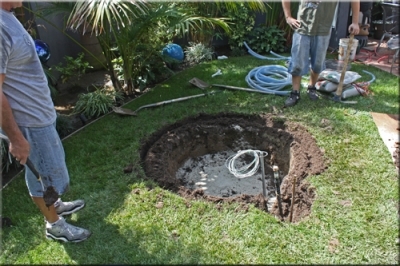 The fiber optics changes colors of can be stationary or change colors at will. 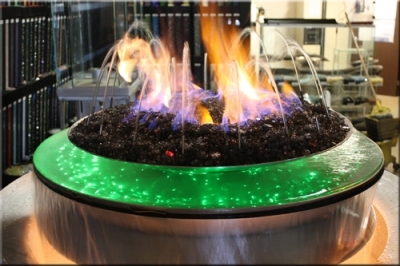 The water in the fiber optics bowl spins and spills over onto the rock base.